In many countries where MSF and other NGOs work, reliable information on the labour market and cost of living is not available. This makes it difficult to know what salary levels and benefits are appropriate for locally recruited staff. 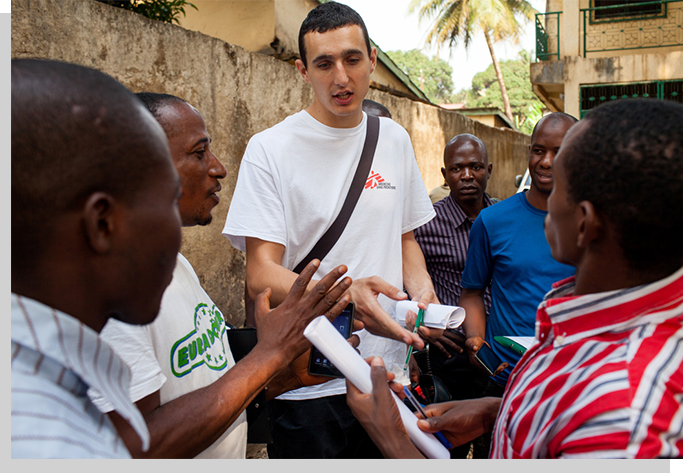 Through a dedicated team, MSF collects labour market and cost of living / workers’ expenditure information in all countries where the organisation operates. Professional benchmarkers interview personnel and bring together information on salaries and living wages from a broad range of organisations working in the same country. MSF conducts such benchmarks every three to five years in all countries, or more frequently if required. MSF employs people for a broad range of jobs and skill levels who ensure that MSF can deliver quality health care to those who need it. For that we want to ensure that we are able to recruit the best, most committed professionals. We often work in locations that lack publicly accessible information on common market practice, cost of living and decent living wage. MSF wants to ensure that our mandate can be carried out under the highest quality standards while at the same time ensure that our employees are treated fairly, money and funds are used in a sustainable way and local norms are respected. MSF benchmarks consists of both field and desk research, including data collection, talking to people, and getting to understand the labour market and socioeconomic context we work in. We analyse the labour market, the competitiveness of salaries and as well estimate the minimum living wage (by surveying minimum household costs) and gaps in the compliance with internal and external policies. For more information about the surveys conducted in any of the countries involved, please go to our resources page or contact us. The countries with the MSF markers “ ” are ongoing. Please contact us to participate and get your report. If you click on a marker it will display a box. Click in the content of the box to access the report.